Carhartt Children's Apparel CG9671 - Sleeveless body shirt with back placket, contrast binding with picot trim and crotch snaps. 3 piece gift short set. Grow wild and free screen print on center front chest Woven plaid shirt with scalloped collar and cap sleeves. 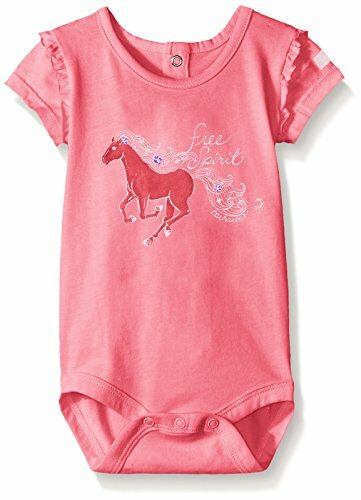 Carhartt Children's Apparel - Short sleeve body shirt with puff sleeves, shoulder placket and crotch snaps Best day ever screen print with foil accents on center front. Body shirt. 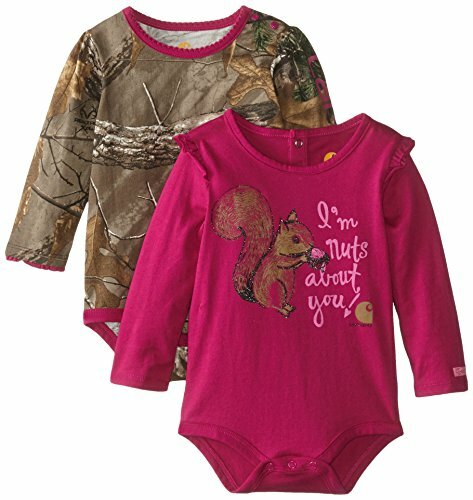 Carhartt Children's Apparel Long Sleeve Body Suit - Body shirt. Long sleeve layered body shirt with contrast neck tape, shoulder placket and crotch snaps. Layered body shirt. Carhartt Children's Apparel CA9503 - Short sleeve body shirt with contrast neck tape, shoulder placket and crotch snaps Carhartt brand mark screen print centered chest pocket. Body shirt. 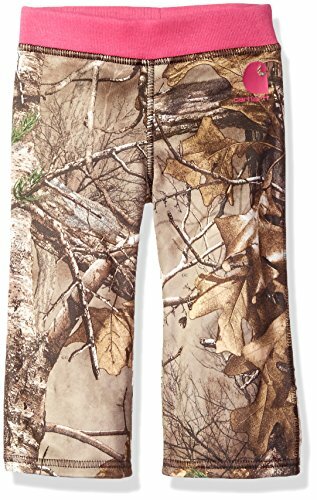 Carhartt Children's Apparel FLEECE PANT - Cover stitched seams and Carhartt brand mark screen print on left hip Fleece pant. Pant. 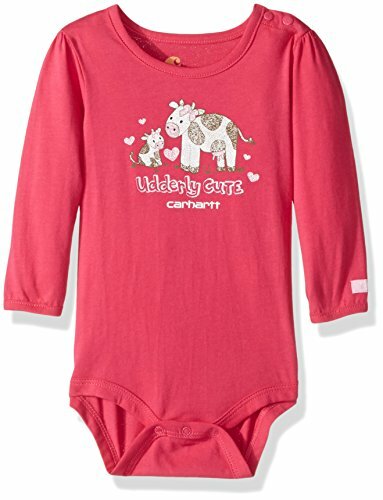 Carhartt Children's Apparel CA9523 - Body shirt. Long sleeve body shirt with puff sleeve, shoulder placket and crotch snaps Let's rock horse screen print with glitter accents on front and woven Carhartt strip label on left sleeve. 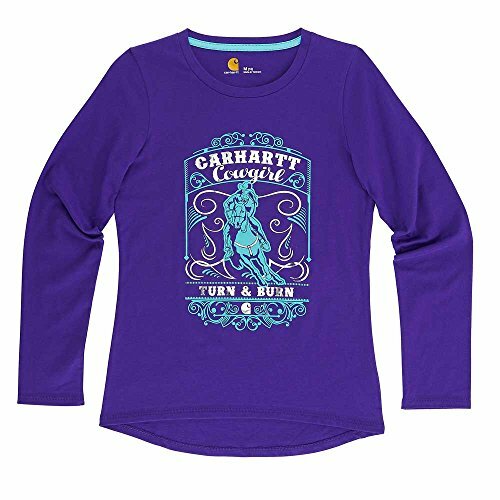 Carhartt Children's Apparel CA9365 - Free spirit screen print on center front and woven Carhartt strip label on left sleeve Free spirit screen print. Printed body shirt. Short sleeve body shirt with armhole ruffle, back placket and crotch snaps. 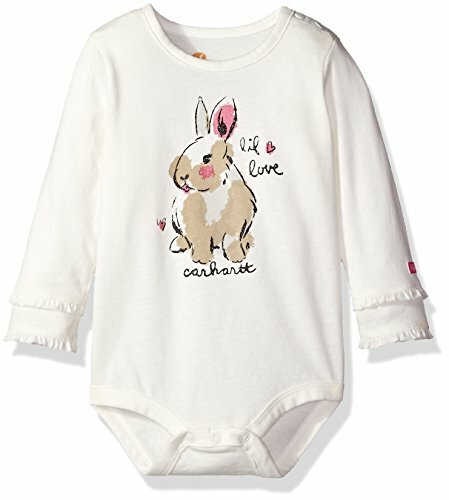 Carhartt Children's Apparel - Tee. Long sleeve tee with contrast neck tape, curved front hem and back drop-tail hem Here comes trouble screen print with glitter accents on front. Carhartt Girls 2-6x CM9630 - Adjustable shoulder strap. 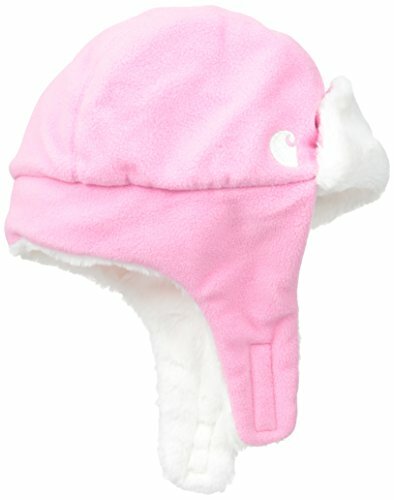 Heart shape logo snaps, woven carhartt brand mark label on bib pocket and embroidered c on back Heart shape logo snaps. Washed adjustable shoulder strap overall with bib pocket and mock fly. 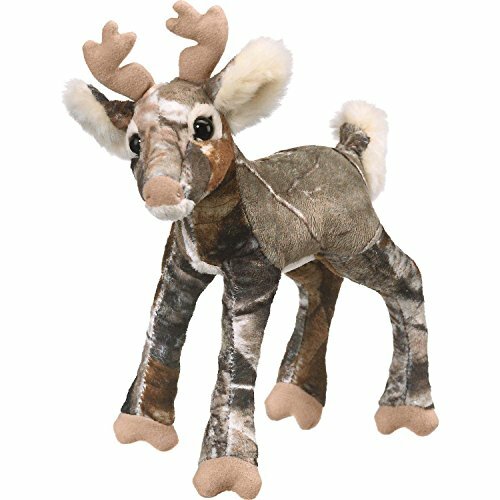 Legendary Whitetails - Super soft 10" plush deer. Delightful details, quality, and even machine washable. Super soft 10 " plush deer perfect for snuggling with. 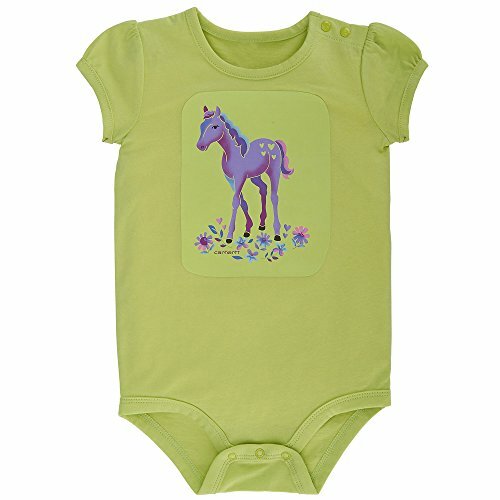 Delightful details, quality, and even machine washable. Perfect for snuggling with. Stuffed with 100% polyester fiberfill. Stuffed with 100% polyester fiberfill. Carhartt Baby - Sherpa lining. Woven carhartt strip label on Chin strap Velcro closure. Back placket and crotch snaps. Long sleeve printed bodyshirt with ruffles on neck.